Pinterest is a great and funny website to visit if you wanna see fashions, crafts, quotes and lots of informative pins. Chances are very good you have visited some pin boards, got some unique and great ideas and pinned lots of things that you want to do, try and get experience whenever you get or find the time to do this. You like this great website, but do you know how can you use Pinterest properly to increase your blog's traffic? Here I have discussed some issues. SEE ALSO: How To Verify Domain And Get Backlink From Pinterest? A best place for starting is with finding the pin-boards that match somewhat to your blog. To do this, just search through the website with good and niche keywords that relate to your blog topic. That is the first step for finding topics that are relate to your blog or website. You want to search something that is original, simple, unique and interesting so strange it is very difficult to pass up. Take a look for those with lots of re-pins, likes and good comments. This means that audience has something to say regarding them. You can also go ahead about the technique in opposite direction. You can post a nice video or an eye-chachy image on your blog and pin it on Pinterest website too. Make sure, it is your own created original content. You also should avoid the things that are too much self promotional. For example: If your hobby is gardening and your blog niche is gardening, create some gorgeous point of view images of plant growth. You can debate, such as how to create non GMO promotional photos or videos? Then simply pin it on the website so audience can start to use it easily and share it. They track it back to your blog or website and visit to find out your best position on the subject. Pinterest is a great networking tool to use. It is an excellent platform to use to build your online brand, marketing sector for your blog and to find other folks to get to know. The prime aim is to increase the traffic. ■ Connect with lots of new people. 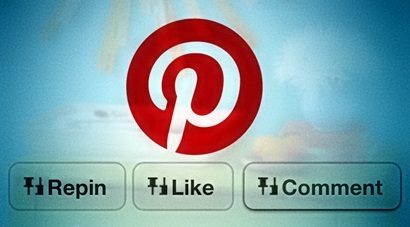 Involve with people who really want to be join or follower of your blog on Pinterest to read your posts. ■ Search for people who are already doing very good on the website with the great audience that you want to have on your lovely blog. Build a good relationship with those people who you will call the influencers in audience field. ■ You can always use rich illustrators, videos and images in your blog posts. Create a pin board and named "The future blog inspiration" and pin the ideas to the theme on it. It is very easy to come back to it at next time. Read Also: Why You Should Use Images In Your Blog Post? That is the ultimate destination for bloggers and webmasters who wants to use Pinterest to promote their blog online. If you have spent huge time just for browsing the website, now it is a perfect time to start making Pinterest work for your blog's traffic aims. Engaging people on Pinterest and using its excellent and unique networking ability and use it as good content for your blog can be very simple but very effective ways to make it easier and work for your blog. Your post is truly effective for my blog. Great work buddy. Thanks for sharing.